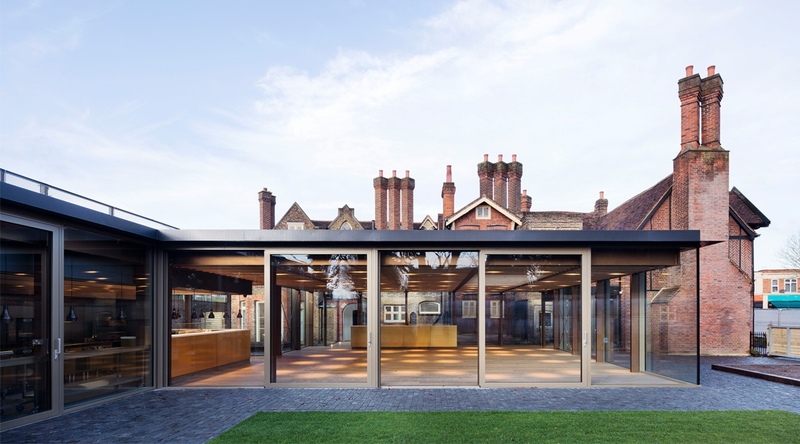 Our most recent project is the culmination of several years of working with Architecture00 on community-focussed projects. DISH is a new ‘cooking academy’ in Southall, an environment that aims to foster community learning and betterment through growing, cooking and eating. 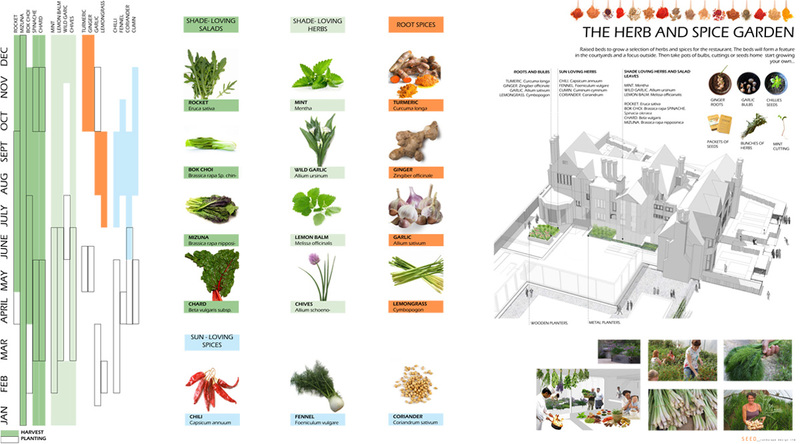 An initial feasibility study looked at creating a walled produce garden and this concept evolved into a scheme that explores the educational cycle of nurturing and growing, cooking and eating along a ‘Garden Street’. 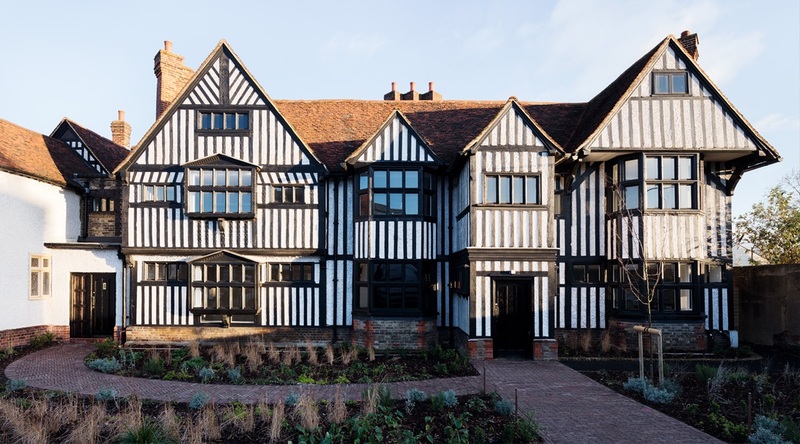 The landscape features three distinct areas: the Entrance Seed Garden focuses on creating a sense of arrival and establishing a suitable context for the Tudor Building in addition to being a garden that the local community can learn from and gather seed to take away. The Garden Courtyard is at the back of the building defined by a sitting wall and espaliered fruit trees. 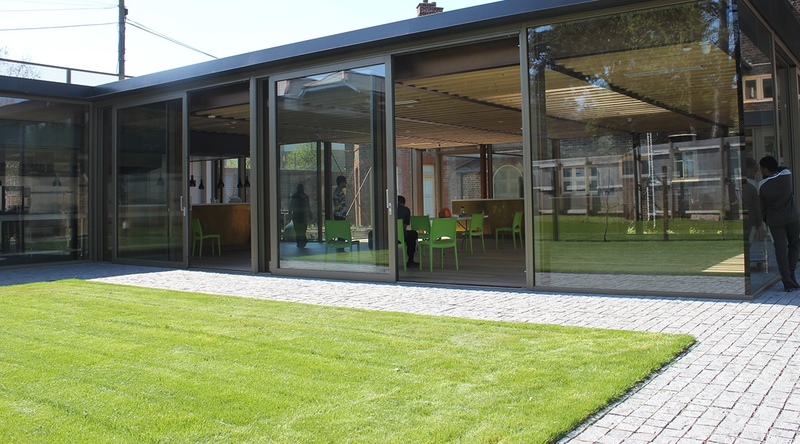 Directly opposite the glazed dining room is a picnic lawn (which can also accommodate a temporary marquee) and along the south-facing side is a showcase growing area, gardened by the academy. And finally, within the glazed dining room there are two distinct courtyards. One is ornamental and tropical in character and the other, opposite the kitchens, is a spice garden. A thyme roof tops the dining room. 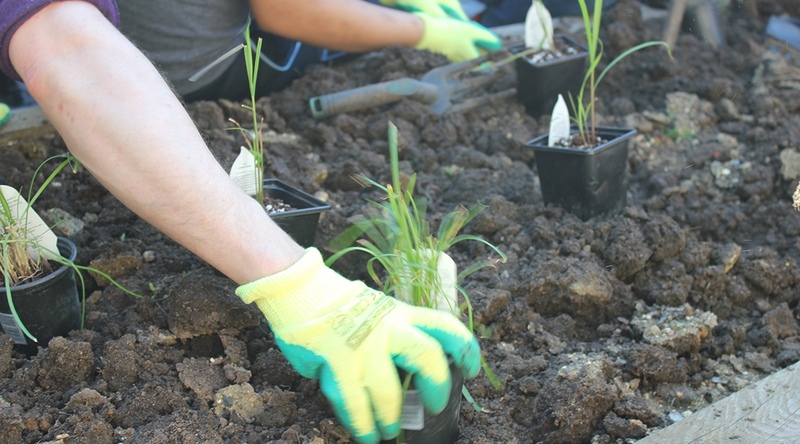 We are currently working with Cultivate London who are helping with the management of the garden and are running community workshops. 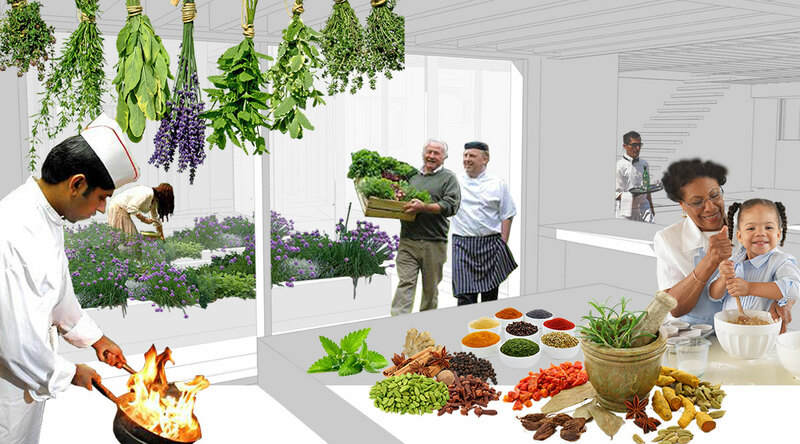 The scheme explores the cycle of nurturing, growing, cooking and eating along a ‘Garden Street’. We are currently working on the proposals for the ‘Eating’ area and look forward to completing the story. 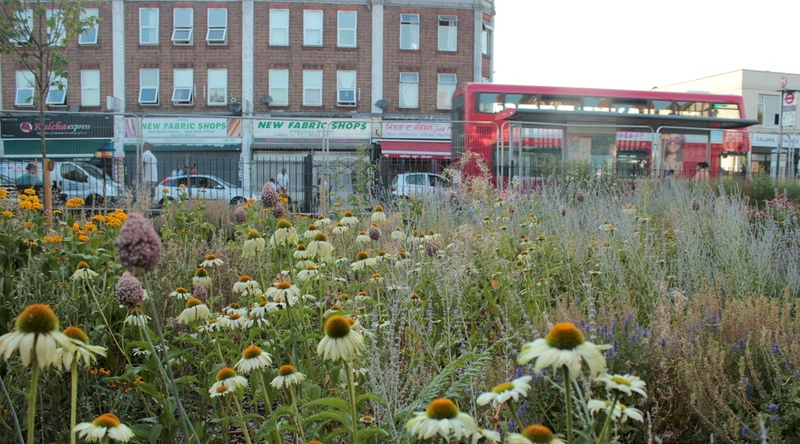 Greenhouses and compost areas were proposed for the ‘Nurturing’ end of the ‘Garden Street’. ‘Growing’ is at the heart of the walled garden and ‘Eating’ is focused around the old Manor House. The ‘Eating’ part of the feasibility study was developed into the phase of works. This image illustrates how the spice courtyard relates to the kitchen. 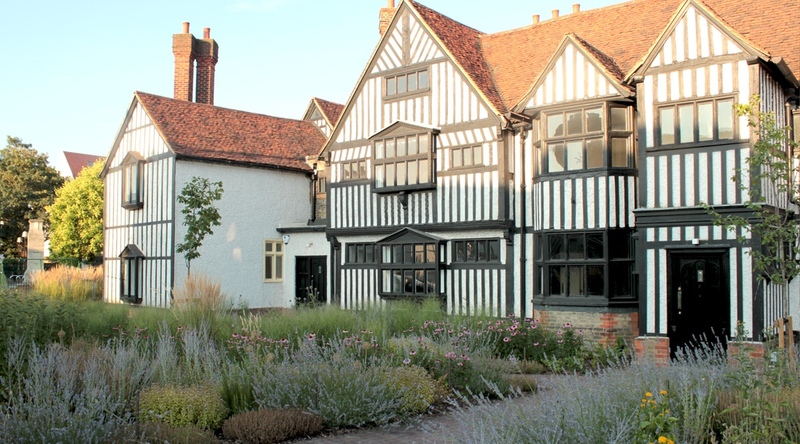 The planting to the front of the Manor House takes inspiration from the Tudor knot garden. The concept is that of the knot becoming untied and the strands flowing around the building. 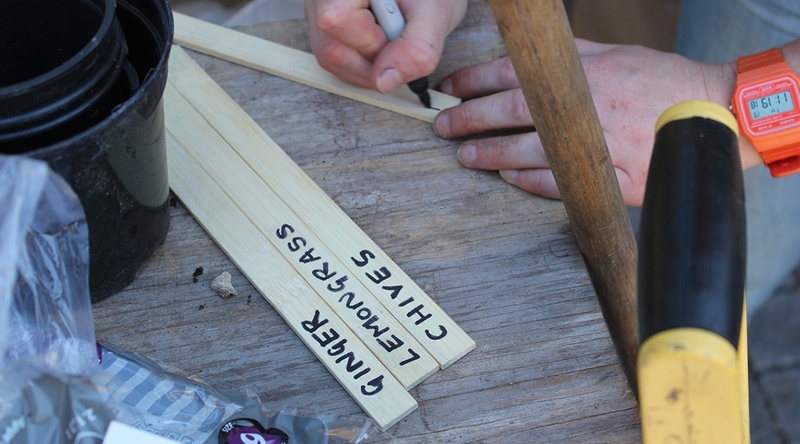 We produced a series of community boards that were used during the construction period.